In celebration of the upcoming "Jewelry: The Body Transformed" exhibit at The Met Fifth Avenue, Lalique has unveiled an eye-catching blue sapphire Epis Ring that will be sold exclusively at the museum's art store starting November 12. 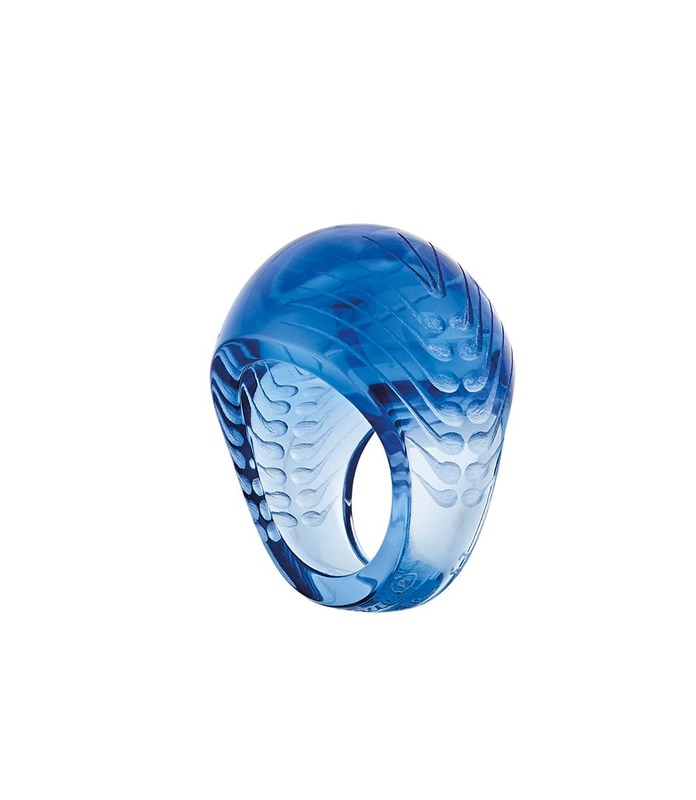 The new Lalique Epis Ring is priced at $335. The new piece, which features two ears of wheat that bend toward the ring's top, draws inspiration from a 1931 hand-engraved ring designed by founder René Lalique. And, alongside Lalique's Cabochon Ring and select items from the brand's Hirondelles and Muguet jewelry collections, will be sold as part of The Met's permanent collection. The Met's new exhibition will feature 230 items including headdresses and ear ornaments, brooches and belts, necklaces and rings from antiquity to the present day, emphasizing the story and transformative effects of jewelry. Also included in this exquisite array of historical objects are a pendant, brooch, necklace, lorgnette and chain created by René Lalique.